After four years, the French Investment for the future BreedWheat (BW) project is well on track. 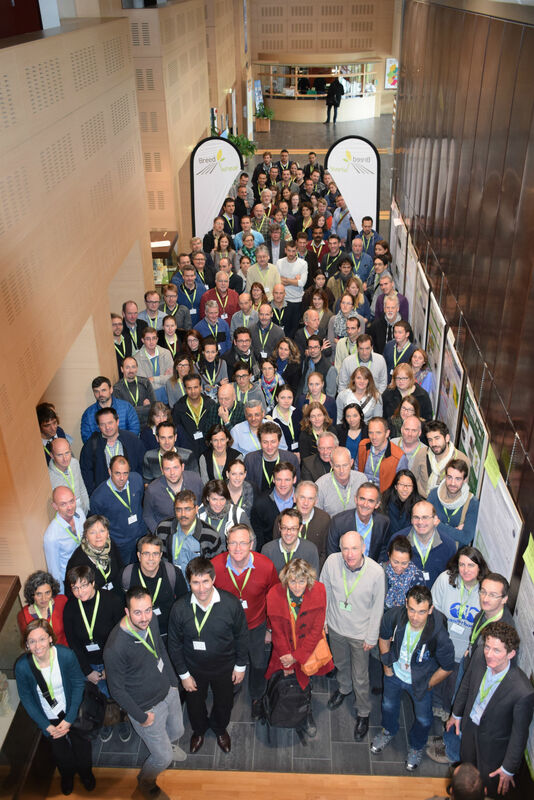 The 27-partners collaborative project has produced more than two billion genotyping data points, phenotyped around 70 000 experimental plots for agronomic traits and established unique resources such as a panel of 4 600 accessions representing the world-wide genetic diversity. At mid-term, the BW consortium wants to present some of its achievements and how they can be accessed by the wheat community. 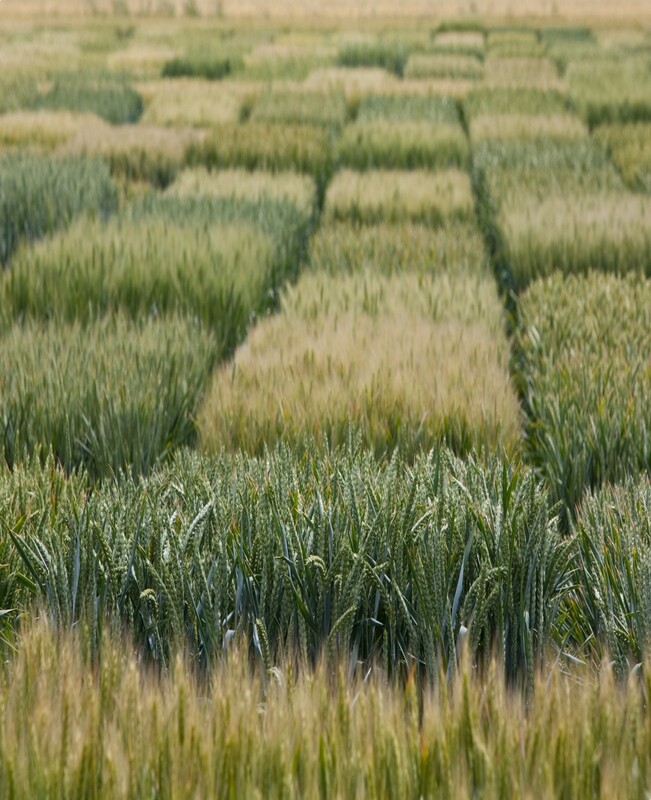 Among the main scientific results, BW has designed an Affymetrix Axiom genotyping array containing more than 420 000 SNP markers (single nucleotide polymorphisms) and genotyped about 7 800 wheat accessions at INRA-GDEC Gentyane platform (http://gentyane.clermont.inra.fr/). For the whole community to benefit from BreedWheat results, a large part of this array representing 280 000 SNPs is made available to third parties for both research and breeding purposes. A genetic map comprising more than 307 000 SNPs has been constructed, one of the highest density genetic map for wheat so far. 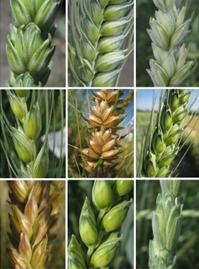 A chromosome 1B sequence has been produced and is currently being used to improve the whole-genome reference sequence developed by the International Wheat Genome Sequencing Consortium (IWGSC). A Carbon-Nitrogen Wheat ecophysiological model able to simulate the post-flowering period was completed and evaluated against experimental data (Barillot et al., 2016a ; Barillot et al., 2016b). The software is available on the platform SourceSup upon request to the authors. A platform for regulatory gene network inference, RulNet (http://rulnet.isima.fr/), has been developed (Vincent et al., 2015). A number of proteins involved in the regulation/ control of protein synthesis in the grain and some regulatory mechanisms have been revealed (Bancel et al., 2015 ; Bonnot et al., 2015). Data from 27 experiments conducted on more than 200 varieties related to tolerance to nitrogen deficiency, drought and diseases, mainly in field conditions, have been analyzed and adjusted for Genome Wide Association Studies (GWAS). 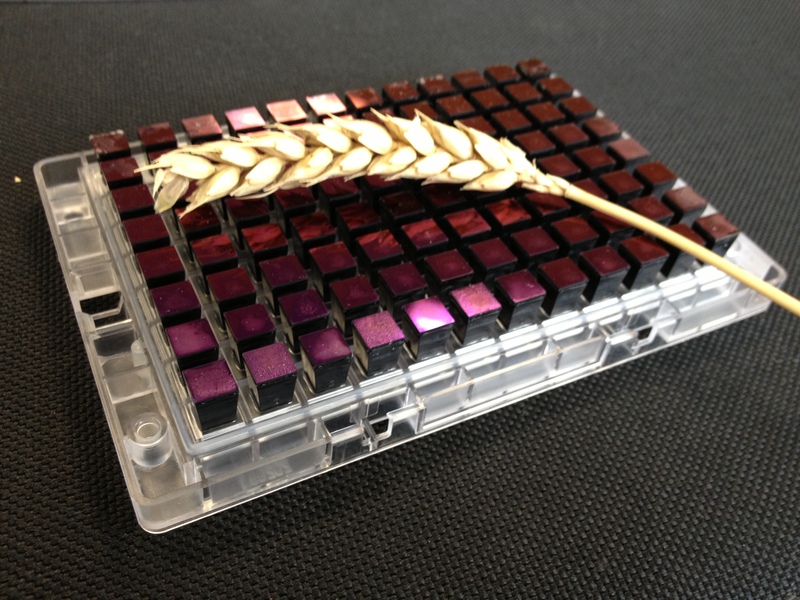 A “diversity panel” of 4 600 accessions representing the worldwide diversity has been selected among the 11 000 wheat accessions available at the INRA-GDEC small grain cereals Biological Resources Centre (http://www.clermont.inra.fr/umr1095/). This panel has been genotyped and phenotyped. 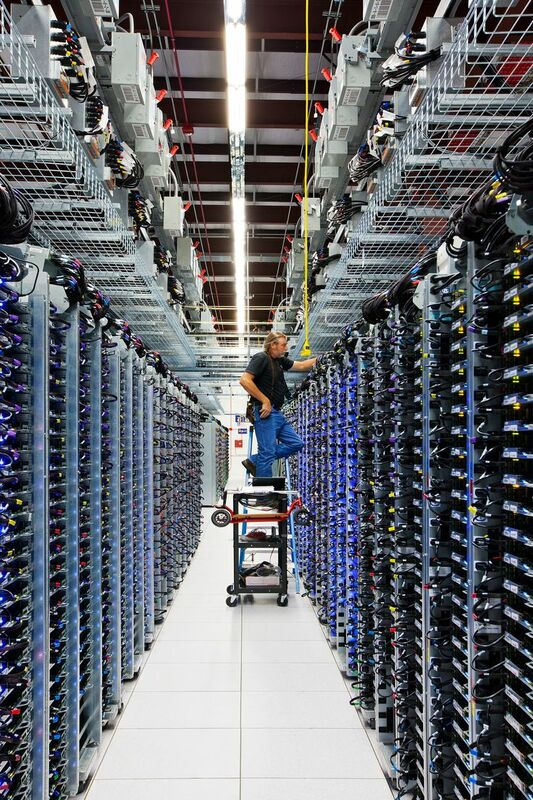 The list of these 4 600 accessions and the phenotyping data generated are today available to the scientific community. A new “association panel” of 450 lines has been selected from the “diversity panel” and seeds are currently being multiplied. Nine recombinant populations are being generated with the aim of introducing genetic diversity into French elite materiel. These populations will be shared between all partners. An R-based pipeline, called BWGS (BW Genomic Selection), has been designed, offering various combinations of methods for dimension reduction, missing data imputation and genomic prediction (Charmet, IWIW November 2015, EUCARPIA general congress-Zurich August 2016). Its ability to accurately predict breeding values has been validated on a set of historical breeding data. Ideotypes have been defined by assembling adaptive traits for various French conditions and experiments have been defined to evaluate 25 varieties close to the desired ideotypes. The BW Information System (BWIS) has been developed to store and share the huge amount of data generated within the BW project. Based on existing resources developed by INRA-URGI and Biogemma, the BWIS has been improved to meet user needs (such as breeders), especially in the genotyping and phenotyping database architecture. So far, both BW genotyping and phenotyping data were integrated. The BWIS is also included in the URGI wheat portal (https://wheat-urgi.versailles.inra.fr/) which is the worldwide reference for wheat data storage and sharing.